What are the current Marks and Spencer balance transfer offers in 2019? The longest Marks and Spencer balance transfer offer is available on the M&S Transfer Plus card. This M&S card is temporarily unavailable to new customers. It is expected to be available again for applications at the end of April. An alternative M&S balance transfer offer is also available on the M&S Shopping Plus credit card. This balance transfer offer is slightly shorter. The M&S Shopping Plus card now offers customers 0% for 20 months with a 2.9% balance transfer fee, minimum £5 and a representative 19.9 APR variable. This card also offers a longer 0% for 20 months on purchases from account opening. The M&S balance transfer credit cards, are issued as Mastercard cards. The M&S credit cards can be applied for by customers who are UK residents, aged 18 or over with a bank or building society account. The Marks and Spencer balance transfer cards offer customers preferential rates when you use your M&S balance transfer card to order M&S travel money. There is no cash advance fee charged when using the card for travel money purchases at M&S. The Marks and Spencer balance transfer credit card is a popular credit card within the UK market. The card is promoted strongly by Marks & Spencer to new and existing customers, both in store and also online. The Marks and Spencer balance transfer offers from M&S Bank were last changed in November 2018. The bank reduced the length of the introductory offers from the previous 32 month offer on balance transfers. This follows many of the other credit card companies which have also reduced their 0% introductory offers. M&S Bank is run as a joint venture arrangement between Marks & Spencer and HSBC Bank. This means that the M and S Balance Transfer credit cards are issued by HSBC bank. As a result, balance transfers can not be made to the Marks and Spencer balance transfer cards from any other HSBC balance transfer card. These include the First Direct credit cards as well as the John Lewis credit cards. Existing customers with a M and S credit card, can however make a balance transfer to a Nationwide balance transfer card, for example. 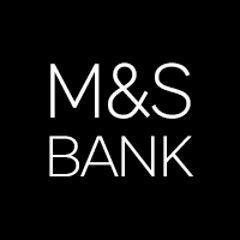 In addition to the above M&S balance transfer offer, the M&S balance transfer credit cards offer customers M&S points on purchases. Every time you shop with your Marks and Spencer credit card in both Marks and Spencer and elsewhere on the high street or online you collect M&S points. Customers receive 1 point for every £1 spent in M&S and one point for every £5 spent elsewhere. The M&S Rewards Plus credit card offers customers double M&S points on all your M&S shopping using the card, for your first 12 months. M&S points are converted into M&S reward vouchers four times a year. These reward vouchers are then posted directly to the customer, to use either in the high street stores or online. The M&S credit cards have in the past been seen as more of a rewards credit card, than a strong balance transfer credit card. However the new longer Marks and Spencer balance transfer offers are now competitive in the UK market.